Mobile users can try on HaberVision eyewear by simply taking a self-portrait with a camera-enabled mobile phone and sending it to hv(at)agm(dot)tw. mobiSHADES immediately analyzes the user’s facial structure returns an image displaying the eyewear selection superimposed on the user’s face, then provides a link to a mobile site where additional quality HaberVision eyewear can be virtually tried on. The augment reality service also lets users text in the style of the eyewear they like from the web site and mobiSHADES returns that specific style superimposed on the users face. While mobiSHADES is remarkable in its ability to immediately and accurately show users how they look in a particular style of HaberVision sunglasses, it goes one step further in helping customers to make purchasing decisions. mobiSHADES allows customers to post their images on social media platforms where they can ask friends to vote for the best-looking style. 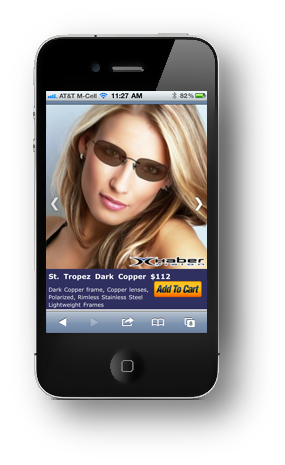 Additionally, mobiSHADES provides a quick-purchase m-commerce platform with new and enhanced security features. Once a user registers, a unique image is associated with that user's account. To confirm a purchase and make a secure payment, the unique code is requested from the user. 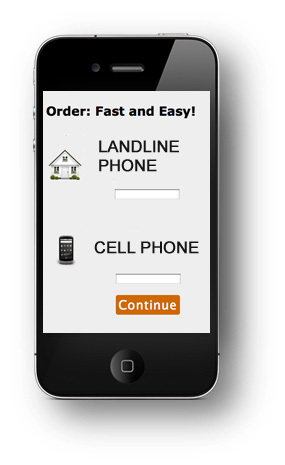 Once the code is returned payment is made and the purchase is completed securely. The mobiSHADES application is a development of Mobius International who developed a self learning image recognition engine, which has been used worldwide in a variety of mobile application from advertising to food tractability and anti-counterfeiting technology. 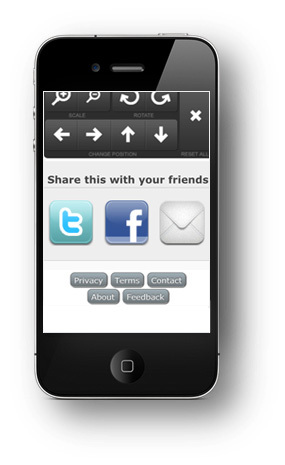 mobiSHADES is just the latest in a series of developments for the Mobius object image recognition technology. "All Mobius applications are flexible and designed to satisfy the needs of the user and the retailer or producer because Mobius does not require anything more than a camera-enabled mobile phone," said Mobius International CEO Aram Kovach. "In the case of mobiSHADES, we've also matched the service with the power of social media, which helps customers make better choices and provides manufacturers with a new and powerful market reach." 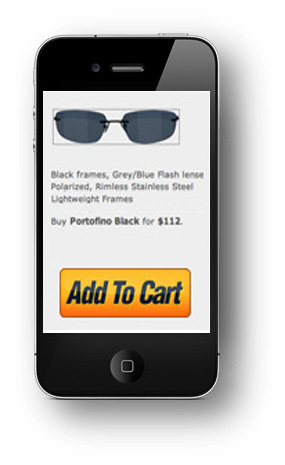 Once users complete their first mobiSHADES experience, HaberVision is able to send messages to those willing containing special offers or other brand or sales-building information. For more information visit http://www.HaberVision.com and http://mobishades.mobiusworld.me. HaberVision is headquartered in Golden, Colorado. Founded by Steve Haber, the developer of the Bolle' brand, Haber products are rigorously tested in the field. All HaberVision products combine the latest in light management systems and coatings with lens and frame materials designed to maximize performance and comfort. HaberVision is an online only retailer and all products are sold exclusively through the company’s website. HaberVision’s unique direct sales business model allows consumers a savings of 50% off of suggested retail pricing. See for yourself at http://www.habervision.com. 38 eye-wear products now available (6 goggles and 32 sunglasses) in a variety of styles. Please call HaberVision for more information: 303.459-2220 or 855-295-6812. The HaberVision offering is possible with mobiSHADES, an app that is part of the Mobius family of mobile phone products and services, including mobiPET, mobiLUX, mobiSHADES, mobiBIZ, mobiWINE and mobiCARD. Visit http://www.mobiusworld.me for more information. CompEx, Inc., the parent company of Mobius, provides comprehensive integrated web solutions to solve the complex connectivity problems facing today's organizations. Based in Columbus, Ohio, CompEx, Inc. is a privately-funded company formed in 1992 as a global technology brand of invention and vision to develop solutions for new business ventures. CompEx specializes in interactive mobile marketing, web and mobile application development, business intelligence, infrastructure/security, and digital data management. Our innovative thinking, knowledge and systematic work methodology enable us to provide our customers with timely and highly effective solutions.